Planning your dream holiday? 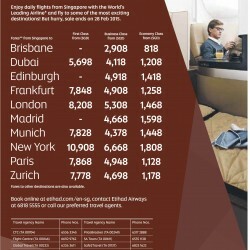 Enjoy up to 10% savings on selected global flights with Etihad Airways. Hurry before promotion ends on 31 July 2016! 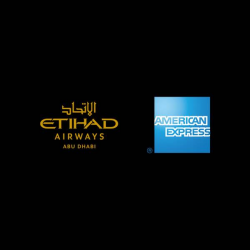 Visit etihad.com/amexoffer for more details. Enjoy Airways CNY Travel Deals. Enjoy daily flights from Singapore with the World’s Leading Airline and fly to some of the most exciting destinations! But hurry, sale ends on 28 Feb 2015.